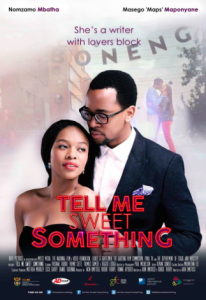 c’s latest feature Tell Me Sweet Something was a box office hit in South Africa. It was also released across the continent to much praise and has been nominated for seven awards in the upcoming Africa Magic Viewer Choice Awards including Best Film and Best Director. This well loved film will have its US premiere at The Pan African Film Festival. 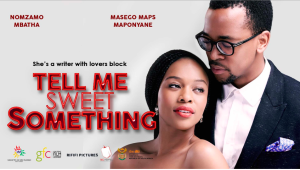 ‘Tell Me Sweet Something’ is about Moratiwa (Nomzamo Mbatha) an aspiring novelist with writer’s block. She hasn’t had much luck with love ever since her ex-boyfriend Norman went out to buy milk and never came back. Moratiwa now runs a second-hand bookshop in the hippest most vibrant part of the new Johannesburg, unfortunately in the glamorous world of it girls and boys; books are not ‘a thing’. Tired of having a recluse as a best friend, Tashaka (Thishiwe Ziqubu) convinces her to party up a storm at a new club in the city; it is here that she meets South Africa’s no.1 celebrity model Nat Masilo (Maps Maponyane) or as she nicknames him “The 45 Foot Man” on account of a huge billboard in which he features that is (in) conveniently situated directly opposite her bookshop. This entertaining romantic comedy is filled with a talented fresh cast. Nomzamo Mbatha, who plays Moratiwa, is the face of Neutrogena and was recently nominated as the Trendsetting Celebrity of The Year in The South African Of The Year Awards. 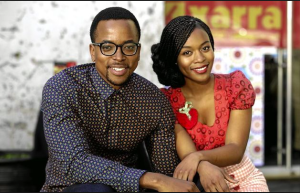 Maps Maponyane who plays Moratiwa’s love interest, Nat. Maps is mainly known for his works as a model, TV presenter, actor and writer and has won multiple awards including Cosmo’s Sexiest Man. Akin Omotoso is the visionary behind Tell Me Sweet Something. Akin studied drama at The University of Cape Town and won The Standard Bank Young Artist Of The Year. He won Best Director at The South African Film and Television Awards for his role as a director on A Place Called Home. 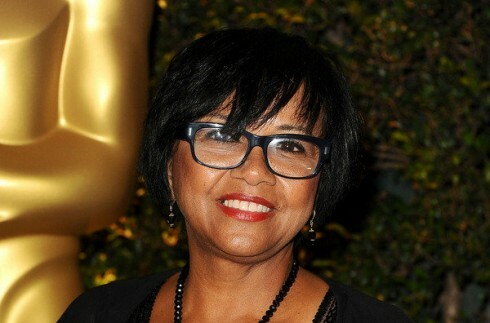 However, Akin is mainly known for producing and directing feature films. Before ‘Tell Me Sweet Something’ Akin worked on ‘God Is African’ and the award winning film‘Man on Ground’. 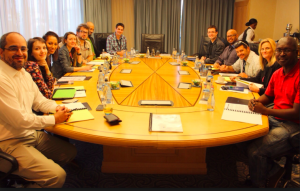 Akin’s next film, ‘Vaya’ is currently in post production. ‘Vaya’ weaves three separate plots that intersect in a gripping and deeply moving story about coming to the city and struggling to survive. It is a very different than Akin’s other films, because it is based on true stories using real homeless people to create a realistic and gritty film. In the ‘Vaya’ four strangers bound for Johannesburg board the same train each with their own mission. They never meet but one event will irrevocably change their lives forever. Undoubtedly, Akin’s biggest project so far has been ‘Tell Me Sweet Something’. The romantic comedy was a major success in the box office and even competed against popular international films such as ‘The SouthPaw’ and ‘Fantastic Four’.